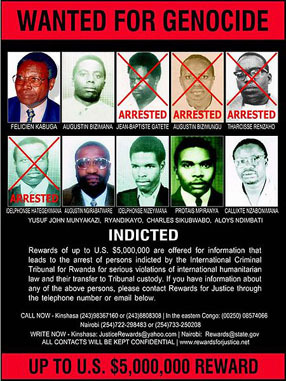 One of the most wanted fugitives from the Rwandan genocide is arrested in Uganda. Idelphonse Nizeyimana, the former Rwandan intelligence chief, directly ordered and organized massacres during the genocide, and more recently was top commander of a rebel group causing terror in eastern Congo. More that 250 people are killed and at least 25 villages destroyed in monsoon flooding in the southern Indian states of Karnataka and Andhra Pradesh. Turkish police use tear gas and water cannons against demonstrators protesting IMF and World Bank meetings in Istanbul. At least 50 people are arrested. The United Nations closes all of its offices throughout Pakistan for an indefinite period following yesterday’s bombing of the U.N. World Food Program compound in Islamabad. An Italian court begins reviewing a law passed in July 2008 that gives Prime Minister Silvio Berlusconi immunity from prosecution. If the law is overturned, Berlusconi could face prosecution in a number of cases, including one for corruption.